There are so much we do on the computer that we are not even aware how we do it. For example, moving and resizing a screen we know we click on something and start moving things around. But, when we can not do it, we try to see if there alternatives to the more obvious pathways. My problem has occurred a couple of times in the last few days. I am moving things out of the way and then all of a sudden, I am unable to to move the Application Screen back to focus. In the image pasted above, I am no longer able to move and resize my Chrome Application. I googled for ways to move things around, but was unsuccessful at describing the problem appropriately. His advice is that I should invoke the System Menu, via keystrokes; specifically ALT-spacebar. So went back to the little window that is still visible and click in the client Area; there by making sure that the Application is the Active Window and thus the recipient of any key. And, then hold down ALT while pressing the space-bar. Once we did so, we have a nice system menu that, and I can now access the “Move” option. I suppose I could have accessed ALT-F7, all this time. Prior to know, I was using CTRL-Shift-W to close otherwise orphaned Chrome Windows. On Linux, we can use dig to query for Name Servers. In the example above, we are querying the system’s default Name Server. And, asking it for the authoritative nameservers for the youtube.com domain. In case something is wrong with our default named server or our default Named Server has been configured not to forward DNS Queries, we can target another DNS Server. In the example above, we are specifically targeting an AT&T named server (68.94.156.1) and querying for bbc.co.uk domain NameServers. We do not really need the stats answer block (Query time, Server, when), but included it so that we can confirm that our result came from the specific server that we requested that it comes from. To exclude stats data, remove +stats or add nostats. Using dig, query DNS Server and we are getting back SERVFAIL. In the example above, we are querying a DNS Server and getting back an error status, specifically SERVFAIL. SERVFAIL means that an authoritative server is registered, but it is unreachable or faulty. Using dig, query DNS Server and note the delegation path.
. 319385 IN NS h.root-servers.net.
. 319385 IN NS m.root-servers.net.
. 319385 IN NS e.root-servers.net.
. 319385 IN NS i.root-servers.net.
. 319385 IN NS g.root-servers.net.
. 319385 IN NS j.root-servers.net.
. 319385 IN NS a.root-servers.net.
. 319385 IN NS l.root-servers.net.
. 319385 IN NS d.root-servers.net.
. 319385 IN NS b.root-servers.net.
. 319385 IN NS k.root-servers.net.
. 319385 IN NS c.root-servers.net.
. 319385 IN NS f.root-servers.net. notfullysetup.com. 172800 IN NS ns1.notfullysetup.com. notfullysetup.com. 172800 IN NS ns2.notfullysetup.com. In the case listed above we asked for a trace on what dig did, and it says that the root servers were queried and returned our ns1 and ns2 name servers. But, we were unable to get the address for ns1. Upon taking a second look, you might also notice that the first query went to the root servers and we were referred to the gtld-servers.net servers. Keep in mind that *.gltd-servers.net servers are authoritaive for .com top level domain. As one plays more with dig, you might find it important to make sure that your NameServers are properly recorded, as well. The whois utility provides a nice complement to dig. When specifying Name Server using @NS, see if you can use IP Address , as the initial DNS resolution for NS might itself fail. When querying for a specific name, please place a period at end of the name to indicate that the default name (resolv.conf in linux) not be appended to the hostname. 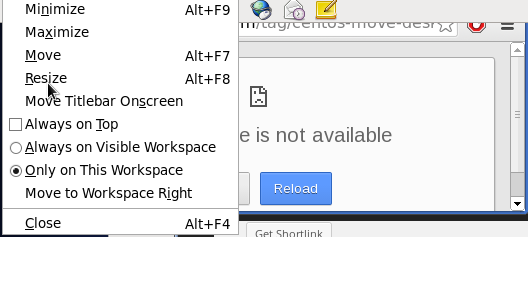 I need to be able to remotely connect from my Linux\CentOS box to my MS Windows box. 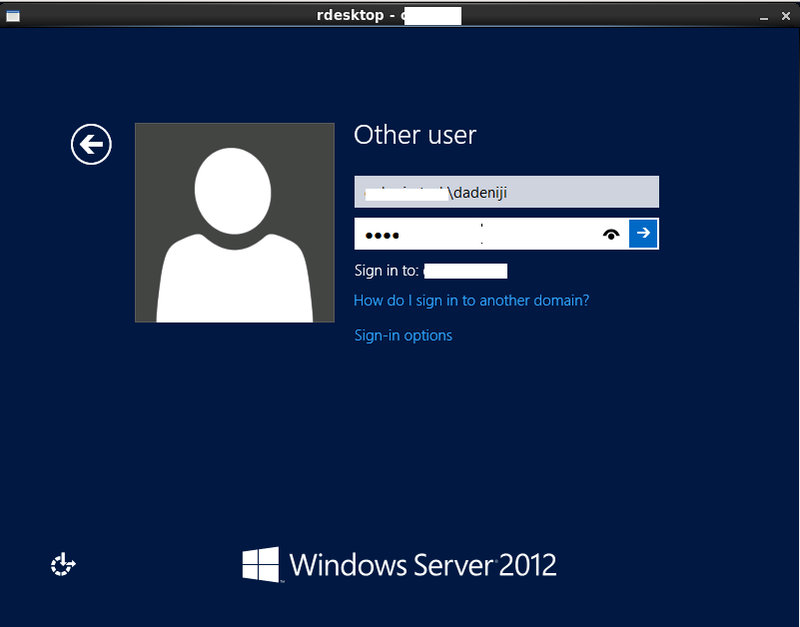 In this post, we will use rdesktop. 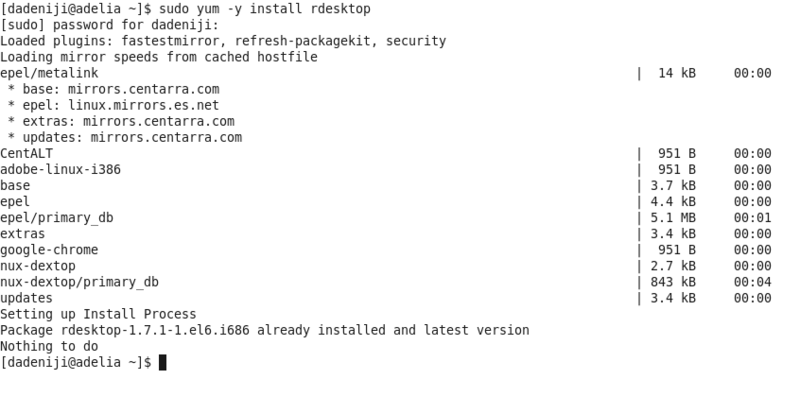 rpm -qa | grep -i "rdesktop"
And, never once did I get lost. I have a little home Network behind my Wireless Access Point. But, lately one of the boxes that I need to access has being up and down. And, I really need it to be up. I am bit disinclined to do heavy network troubleshooting. I just need need things up; reliably and running. Usually, it wouldn’t bother me. But, I really need to learn. I know I am entitled to 5 IPs from Comcast; and I have a spare one. Once that connection is made, I have a good world reachable IP Address. Hopefully, it will stay up and available. As the host is a box that will be running Hadoop, I know I need really good and firm FQDN. What is Comcast DHCP giving out? Create A and “Reverse Lookup” entries for our linux host. Our DNS Server happens to be a Windows based, and we will just use a GUI to make the changes. On the linux node, update /etc/resolv.conf with our updated DNS entries. In our case, as we getting an IP from Comcast and a home grown network domain, we need to ensure that we choose our own DNS Server (that is also reachable over the Net). In case you do not have a good DNS Server or limited network addresses, please consider using a third party Dynamic DNS Provider. My favorite used to be http://dyn.com/dns/, but it seems that they are pulling back on free FQDNs. Though, I have yet to try noip.com, I have being hearing good things about it.